Botany and botanical art is very exciting! On Friday and again on Sunday afternoon after church I was able to continue with my Acanthus ( in case you wondered what my new picture was all about). I finished the sketch and transferred it to the paper I am using for the final work. A warning, the following picture is not the whole composition as it will contain a third element – hopefully. It is a large project, but hopefully it will go well. On Saturday my husband and I drove up to Leicester, visiting briefly the University botanical Gardens. But we also went to an IAPI meeting on Grasses. 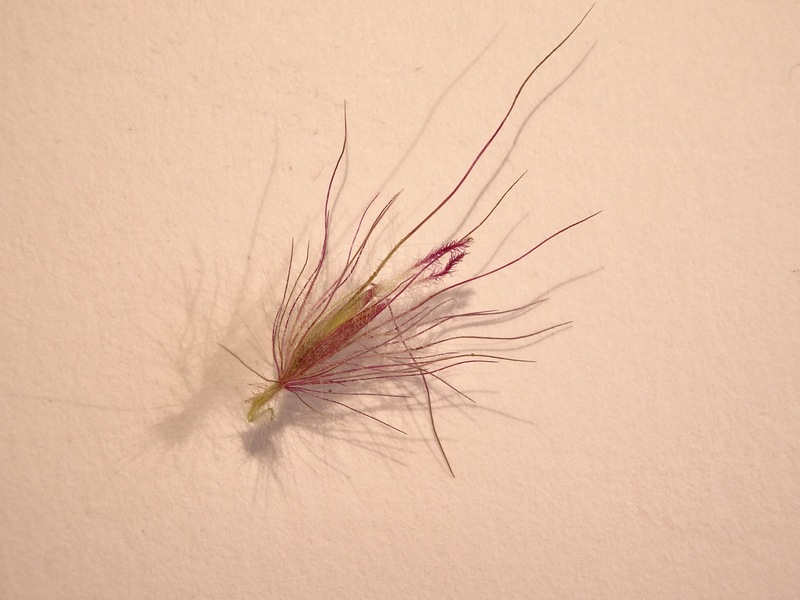 Now many of you might wonder what was so special about grasses – and I did too. But, with just one lecture and some amazing views through the microscope, I am converted. There were so many different types for different types of habitat and temperature zone. They may look very ordinary, but up close they are absolutely beautiful. Think of a colour wheel and pointillism. If you mix the three primaries, you get a grey shade, depending upon the mix. Optical mixing of colours means that you don’t mix the colours on your palette, but by placing colours side by side, your brain mixes the colours together creating a third colour. Now back to the grasses. When a grass is waving in the wind, depending upon the type, all you might see is a greyish or beige-ish colour in the frond. Well, at the height of the season, those ‘fronds’ are the ‘flowers’ (inflorescence) of the plant and contains the male and female parts. I looked at these under the microscope and saw some tiny, really beautiful flowers. Most of all, the colours were amazing ( I know I’ve used the word again, but have to). The one I was looking at had wonderful reddish purple and green parts with the tiny style and stigma in purple sticking out of the tip. The colours glowed. Unfortunately the pictures I have taken do not reflect the beauty that I saw under the microscope, but hopefully they will give an indication. Back to optical mixing of colours. Bearing in mind the smallness of the inflorescence, even though the colours were individually very beautiful, they were small surfaces to the naked eye and therefore had the same effect as pointillism – the colours became optically mixed to a dull grey! Could this be natures way of protection? What do you think? I know the photo does not do the plant justice, but hopefully you can see the promise of the intricate and beautiful design. 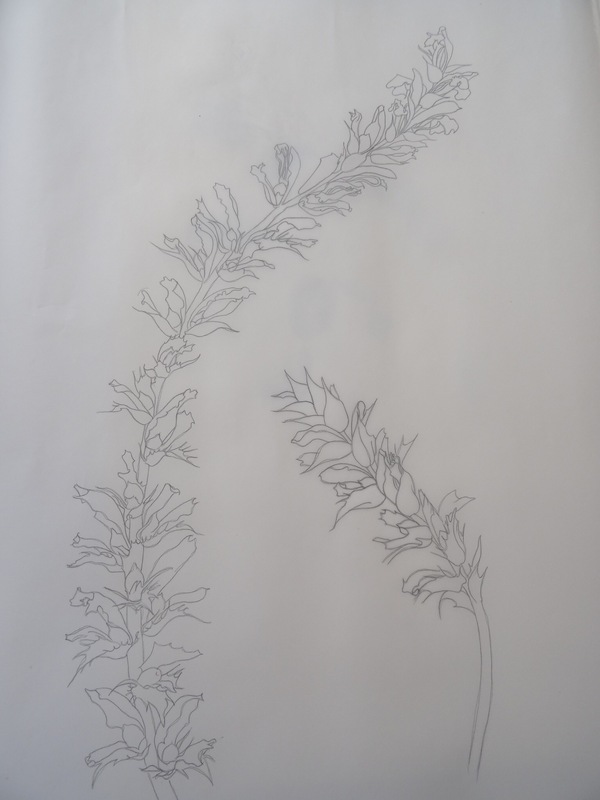 < A new botanical art project started. 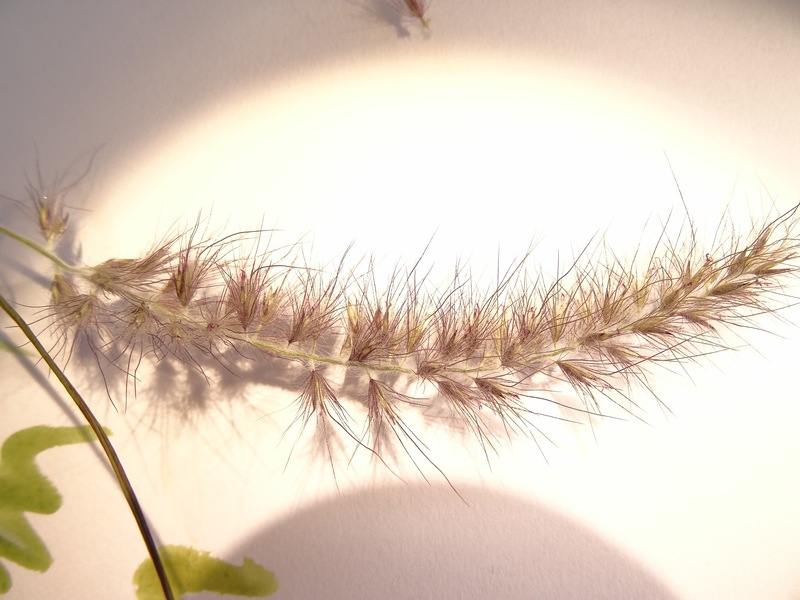 There was similar close up photography of grasses on ‘Gardener’s World’ this week and it is incredible to see the fine detail of the different types. 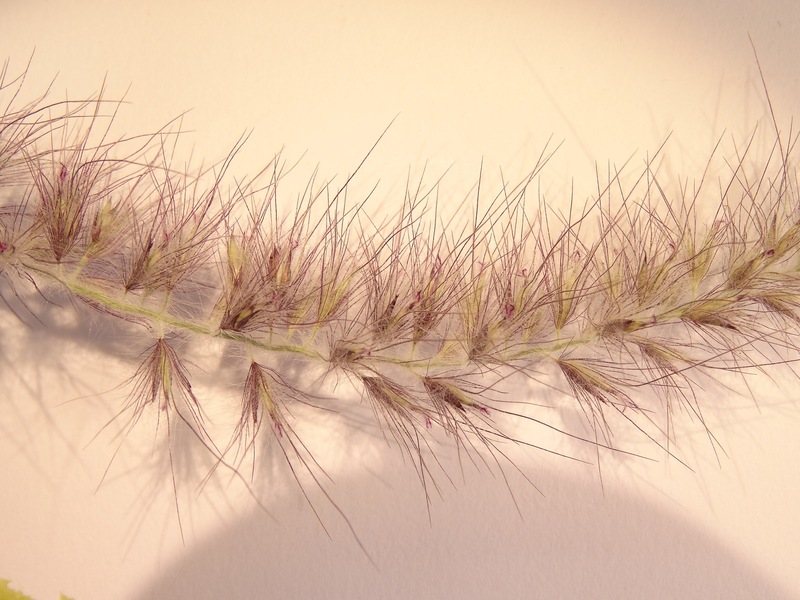 As a gardener I have always been somewhat dismissive of ornamental grasses as they can look like weeds, but now I think I will treat them with more respect. I have to say that having heard about them during the lecture and seeing them under the microscope, my feelings which had been like yours, changed completely too!